Built in 1969, the Coronado Bridge crosses over San Diego Bay and links San Diego with Coronado, California. Over the past year the California Department of Transportation (Caltrans) and the Port of San Diego have been hosting a competition among lighting designers and architects to design the bridge's architectural lighting for the massive 11,179ft and, at its highest, 200ft tall prestressed concrete and steel girder bridge. The winning lighting design chosen by Caltrans and the Port of San Diego was submitted by a joint American and British architectural team that will install programmable LED modules that are fully sustainable and will be powered by wind turbines, making these LED lights that much easier on the energy grid. 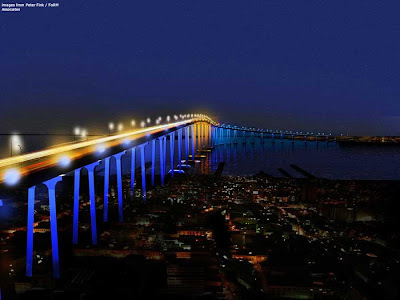 The LED modules will accentuate the splendor of the San Diego bay and the bridge itself. LED modules will be installed on the exterior walls of the roadway and will light according to programs that will control the variable color, rate, and intensity depending on the traffic. The LED lighting on the upper part of the bridge will also interact with the ships that regularly pass underneath the bridge. The bridge’s second set of LED modules will be installed on the bridge’s enormous pillars. The project will likely be completed in the next couple years and we’ll write an article on it when it’s complete! 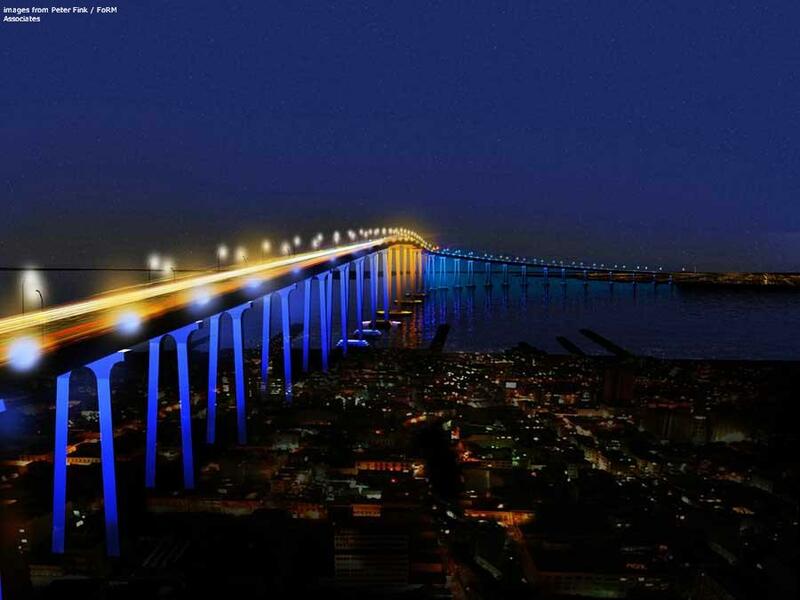 The design intended for the Coronado Bridge highlights the endless possibilities of LED lighting and their durability. BulbAmerica stocks a wide variety of outdoor LED and other LED products to check out what we have today. Please do not hesitate to leave us a comment or a question on our blog or Facebook, or call us at 1-877-622-0897.